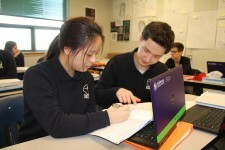 Saturday Enrichment is a set of engaging and hands-on courses which allow all Bodwell students opportunity to expand their learning and to gain "real-world" knowledge. These courses also provide students to further strengthen their English language skills, towards the aim of studying in university or pursuing ambitious careers. All students attend three hours of enrichment classes every Saturday morning, on top of 30 hours of academic classes Monday to Friday. Students are guided to select and register for Saturday courses each term, which are included in the report card. Students enrol in a Saturday course each term in one of the following areas: English Language Enrichment & Academic and English Preparation, Service & Global Citizenship, Career & Post- Secondary Exposure, Outdoor Education & Sports, New Media and Performing Arts. Note: Saturday courses offered term to term may vary. These are SAMPLES only. Learn practical tools & prepare to succeed in the IELTS exam. Clear communication, planning to present, the art of argument, listening skills and discussion of exciting issues. Public speaking training, interactive English discussion, introduction to debate and presentation skills. 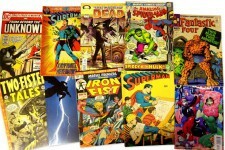 English reading, drawing, writing, acting and film adaptation with a focus on comics (aka graphic novels). Improve language skills through the lyrics of pop music artists, and through rhythm too. Improve skills through the poetic stylin' of popular music artists. Try your hands at writing lyrics. Acting & performing through English. Introduction to capturing dialogue by viewing examples and trying it out. How to be funny, public speaking, understanding sarcasm, irony and satire. Laugh your Saturday off. Exploring important stories and traditions from BC and around the world through language, art, music and modern media. Set goals and achieve them. Support in gaining skills - outdoor adventure, career, hobbies, volunteering and athletic. Get tons of volunteer hours while experiencing local community. Lead to learn and serve to explore. Earn volunteer hours by working with a local ecology expert. Learn how to plant, garden and sustain your natural habitat. Hiking, learning teamwork, leadership, survival skills, knowing yourself and exploring local sites. Human performance: learn & experience body movement principles and techniques for strength and conditioning. Intro to sport psychology. Fulfill your potential in the pool. Learn first aid and how to save a life. Capture, create, polish graphic and moving images into gems and showcase these to the world. Learn about beauty through life sketching and fashion design. Extensions into some beauty topics, jewellery, sewing, etc. Learn to compose and perform digital music for use in various media. Exam, university and career readiness through interactive activities. Explore your options for future work and how to get there. Major career areas are experienced, plus your own interest. Explore what life and work in the business world is really like. Plus how to manage your money and get/be/stay rich. Explore video game design, strategy and development. Try your hands at game programming, coding and creation. Plan, prepare, cook, create, eat, clean repeat and take your learning to a new level. What's happening in school on Saturdays? Below is a listing of our recent Saturday course offerings. 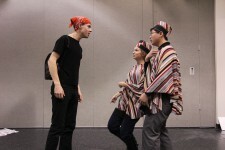 Acting & Improv Acting through English is a great way to gain confidence and practice your speaking and listening. Arts & Crafts from Around the World Improve your English by learning about different cultural arts and practices around the world by making vaious decorations and craft projects with a variety of simple and colourful materials. English through Movies & Music Enhance your everyday English through the context of film and songs, with lots of fun activities. English through Social Media Social media offers a new way to write about ourselves and interact with others. We will explore the English language in different forms of social media ranging from Facebook to Blogging. Each student will create their own website while utilizing each social media platform. Speaking with Confidence Improve your speaking skills through pronounciation practice alongside projects such as podcasts and drama activities. Build your confidence so you can be ready for tests, interviews and socializing. Adventurous Learning Focus on hiking, teamwork, leadership, survival, knowing yourself, exploring, volunteering & much more. Working through the four sections of the Duke of Edinburgh program: physical recreation, volunteering, skill building & an overnight adventourous journey. Beauty Science An introduction to cosmetology, the professional practice of beautifying the face, hair and skin both inside and out, with coverage of diet, nutrition, fashion and accessories. Bodwell TV Learn to create a video news report from start to finish! Investgate what is happening in the school and out in the community. and use your video and editing skills to tell the story. Career Skills in Digital Technology Skills in digital technology are essential for every career and field of study. Power up your ability to be productive and effective using software via creative projects. You will learn to impress! Cheer Sport The newest Olympic sport! Learn acrobatic movement through gymnastics to gain strength, balance, and rhythmic coordination in teams. More at #absolutecheer. Design & Photography Discover creative photography and new media skills by taking a hands-on approach in the world of design. Learn how to express yourself and find your own style in original ways. Digital Recording & Sound Production If you love music and are intrigued by recording studios, this is the course for you. See how exciting of a career it is to be an audio engineer. You will learn to use the recording software "Protools". Next, you will learn how to record, mix, and master live recording with professional artists and musicians. Drafting, Design & Achitecture Interior design let's you see your built world through new eyes. Learn the techniques of architects in 2D interior sketching and then expand your skills through digital graphics. Exploration of Dance Can you picture yourself performing on a stage? You will be inspired by learning the pursuit of dancing using a wide variety of music. Intro to Volunteering We will focus on bridging student's individual passions and use of English with work that is meaningful in our community. Students will get out in the community and gain an understanding of the importance of contribution, plus focus on how volunteering can enhance personal and professional growth. Intro to Electronic Music Learn to compose and perform digital music for use in various media. Explore a variety of musical genres and ways to express yourself through creating your own songs. Learning through E-Sports E-Sports is a fast-growing pursuit in the world. Students can gain teamwork, strategic thinking, communication and leadership skills through class activities, plus discover more about this industry. Masterchef Bodwell Passionate about food and exploring healthy and delicious ingredients? Then MasterChef is a fit for you! Through this hands-on cooking course, you'll be able to cook up some stunning looking and tasty meals in addition to developing your life skills. Physical Conditioning Ready to learn how successful athletes train and get their bodies and minds prepared? Your own body will be the focus as you gain insights into nutrition, exercise and attitude. Songwriting & Musical Production Explore music production including song writing, recording techniqtues, and live performance, plus equipment maintenance. Sports & Beyond Improving your knowledge as a player and leader through sports education approach. Students will join unique games and activities promoting leadership, fitness, health & English, with a special focus on outdoor sporting pursuits. Travel & Hospitality Get to know popular tourist sites around the world and in Vancouver. Explore different types of special focus interest tourism and discuss the latest breaking news in tourism. Be ready to go outside into the community. Advanced Electronic Music Design Learn how to take your music to the next level. Explore advanced production techniques to help further tour creative growth. English 12 Support Priority for students taking English 12 or planning to take English 12 soon. Students will focus on reading & writing in a variety of formats. Indvidualized support may be offered in learning literacy devices amd grammer skills. Expect inteactive review activities. G.I.V.E. Guided Independent Volunteering Experience Find support and guidance as you seek a volunteer/work experience placement in the community. Note: Instructor communication is partly online via appointment, with only a few class meetings. Volunteer hours are not guaranteed - it all depends on you! Hip Hop Culture Studies Hip hop culture unites people through 4 elements: Rap, Breakdance, DJing, and Urban Art. Examine modern themes in hip hop culture related to identity, money, gender, rafe, family, and more. Explore hip hop in a socio-political,historical, economic context while gaining some hands on experience! IELTS Exam Prep You will not only be given the chance to prepare for the challenging IELTS exam, but you will also be providing with the necessary tools to develop your confidence and fluency in the English language. Intro to French Bonjour! Begin to speak, listen, read and write in Canada's other official language, while learning French through gloal culture. Speaking French can open a lot of opportunities both in Canada and around the world. Intro to Korean Anyoung Haseyo! 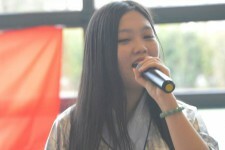 Begin to learn to speak, lister, read and write in the Korean language, while learning through Korean culture. Speaking Korean can open a lot of opportunities academically and it can lead to a lot of friends and connections. Intro to Programming Computer programming, or coding is an essential skill for the future. Jump into the language of logic by learning a coding language. Politics & Debate We will have classroom debates on political issues ranging from local issues to global ones. Class will have a weekly debate revolving around political issues that are of personal interest to students' interests. Robotics Studies A hands-on experience of mechanical engineering concepts and problem solving. Features robotics kits to learn the concepts of design, movement, and other elements of machines. Starting a Business through Entrepreneurship Do you have what it takes to be an entrepreneur? Learn the fundamental rule of startups and how startups should work to get you started on a solid path to success! Pre-AP Art & University Portfolio The Pre-AP Art and University Portfolio courses is Mandatory for students who plan to take Advanced Placement Art next term. This course is to help students get started on their AP Art and university art portfolio. The course offers guided time and support, and student will also be thought the basics of Photoshop and photography to aid in improving the presentation of their work. 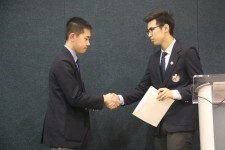 Global Leadership Global Leadership equips Bodwell's Student Parliament with the skills necessary to become a critical thinker, active bystander and effective leader in global or multicultural contexts. Course participants develop various aspects of personal growth and achievement throughout the term. Together, we critacally explore leadership theories, examples, scenarios, case studies and history.